Having made a substantial investment in state of the art technology, Anna and the team at Scotland Shop aim to become a global leader in “e-tailoring”. The software allows online shoppers to see their chosen item of clothing in one of over a thousand different tweeds and tartans, something that up to now only fashion designers had the tools to do. Whilst Get Knotted isn’t involved in e-tailoring we are very much involved in tailoring weddings. 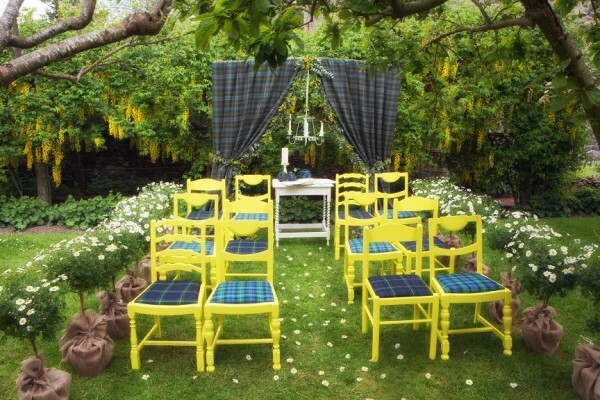 We wanted to demonstrate that tartan can be vibrant and contemporary, subtle and stylish, and a wonderful addition to a styled wedding scheme. We worked with Anna to choose four different tartans to work with which would compliment the chosen venues. We visited Anna’s showroom and offices and spent a very exciting time rifling through loads of different boxes of tartans. The colours were so amazing and offered brilliant possibilities. That was the start of the fun process of putting the schemes together, which we loved doing, getting inspiration from the three beautiful venues, all quite different, in the Scottish Borders. First up Aikwood Tower, an enchanting little Castle which is a blend of ancient and very contemporary. 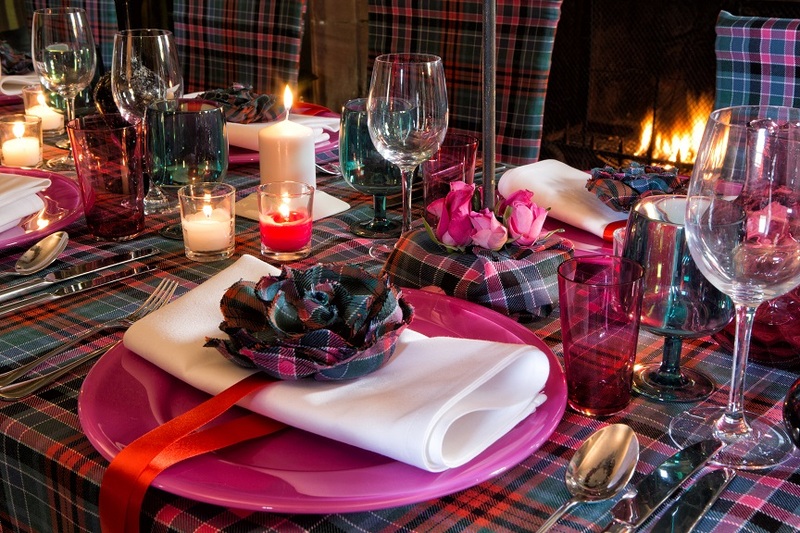 We chose Aikwood Tower as a striking backdrop for the Gordon Red Ancient Tartan. The bright and bold colours looked amazing in the Great Hall creating a warm and vibrant look with focus on the reds and pinks, ceiling circles overflowing with roses, pink glassware and scarlet satin ribbons completing the look. 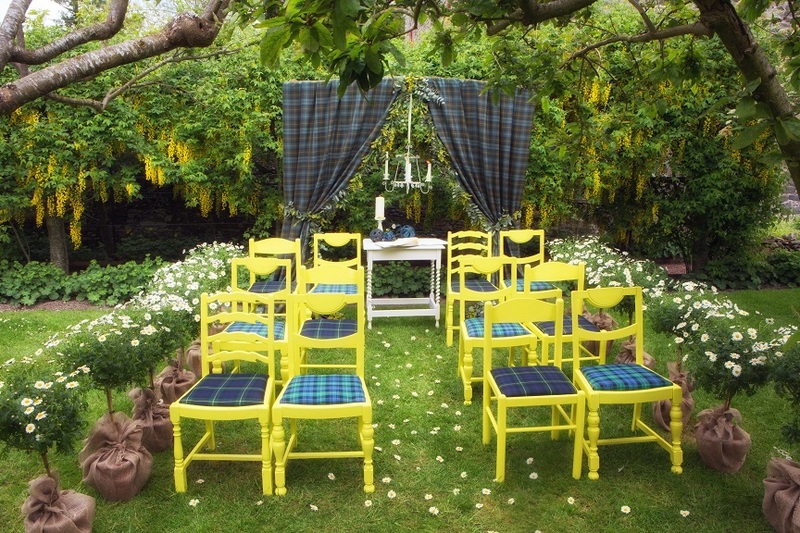 Aikwood Tower also has a charming orchard which we used for the outdoor shot with bright yellow chairs and the Gordon Clan Weathered, Gordon Modern and Ancient Gordon. 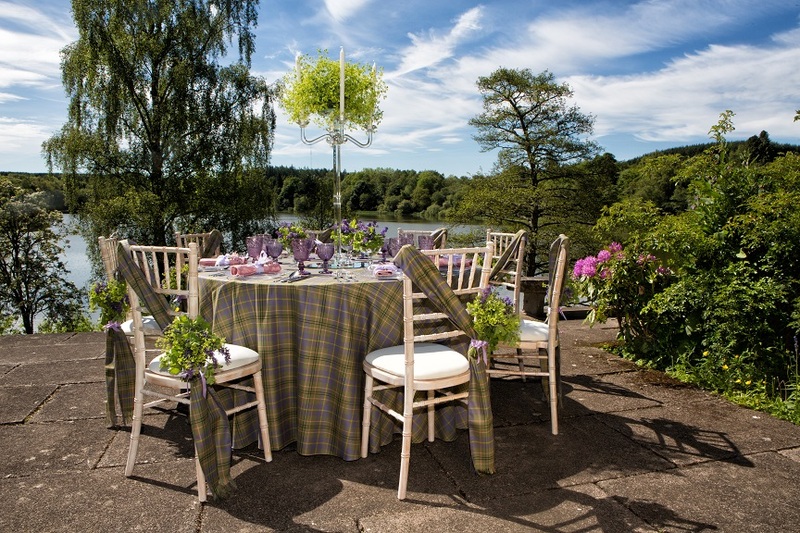 The Haining in Selkirk is situated right on the edge of its own Loch and The Taylor Ancient Tartan looked soft and beautiful in the gardens and against the water, proving that tartan for weddings can be delicate and summery. A palette of soft greens, dusty pinks, purple and lilac worked perfectly with the delicate wildflowers used in the floral arrangements both on the table and in the chair decorations. Gunsgreen, the quirky Smugglers Palace with the vibrant blue walls, worked a treat with the Young Weathered. Beside the seaside in Eyemouth, Gunsgreen House was great fun to style – the interior colours are bold and make for a great backdrop to showcase the tartan fabric. 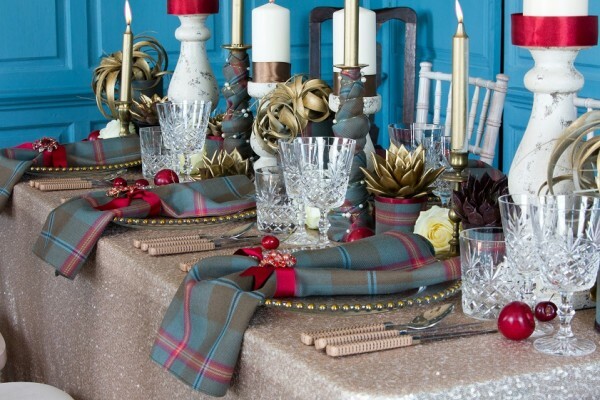 We used a gold sequined table cloth, gold satin ribbon and succulents to pick out all the colours in the Young Weathered tartan. 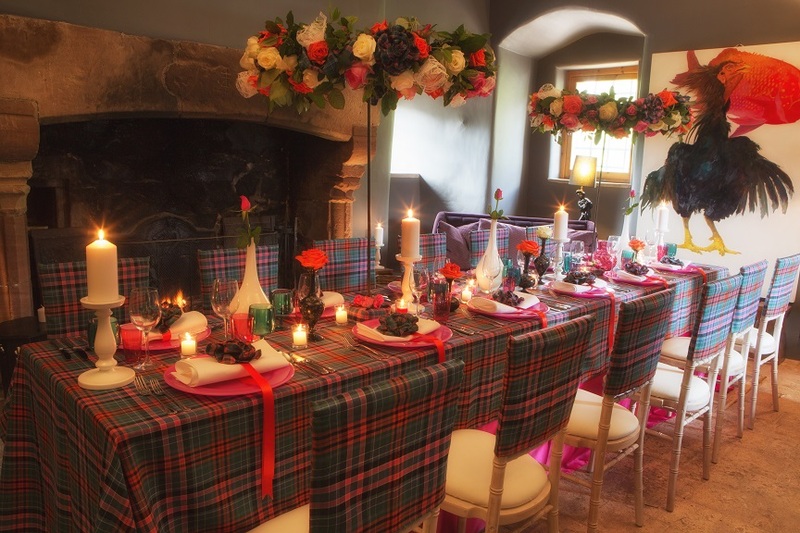 The chair ruffles combined a delicate ivory chiffon with tartan rosettes and tails to match the tartan napkins. 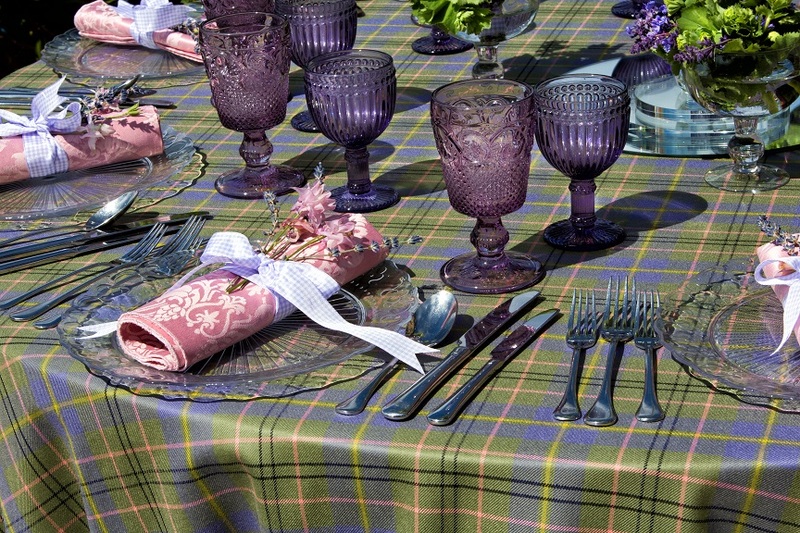 It was fascinating to mix different colours and textures with the tartans. 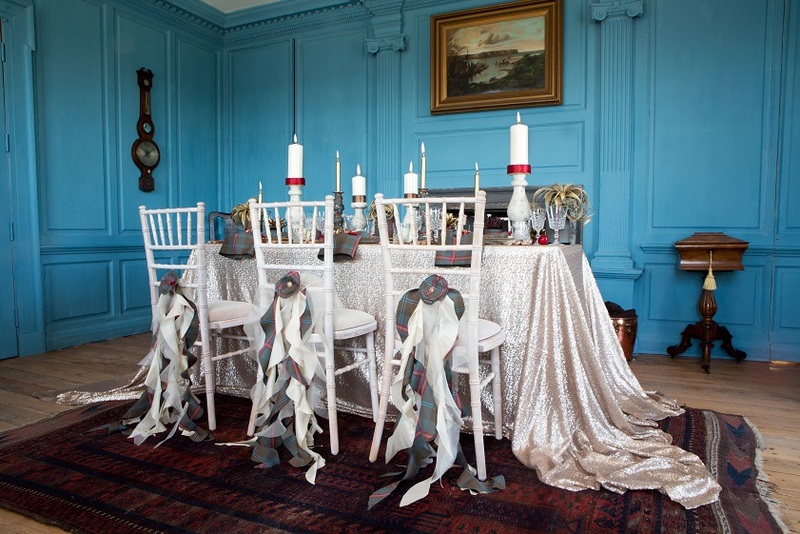 The sky is the limit with these wonderful Scottish fabrics and we loved this shoot putting a twist on traditional tartan for weddings. 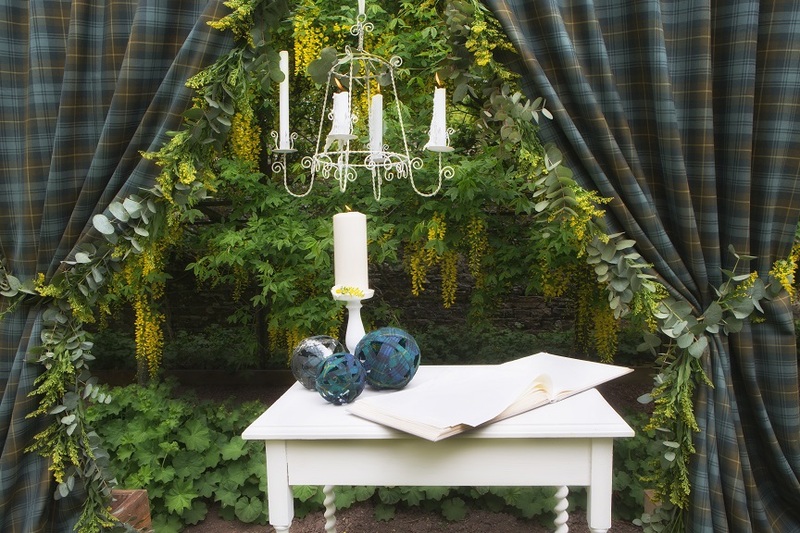 Thanks to Alex @Aikman Smith Photography, Anna and the team at Scotland Shop and all the staff at Aikwood Tower, The Haining & Gunsgreen House who helped with these shoots.